News To Supplement or not to Supplement? Many of us use vitamins, minerals and other supplements routinely as a part of a modern busy life to make up for what we might be missing out on. However, if your dog is skipping meals, drinking too much coffee and ordering pizza three nights a week because they can’t be bothered cooking, then shame on you! Our pets rely on us to provide them with all the nutrients they need for a healthy life and although that may sound daunting it is usually easier than it seems. It is certainly easier than feeding ourselves and even our (non-fur) kids. Mercifully, our pets can’t use the phone, don’t understand fast food ads and don’t usually have access to pocket money or a credit card. They also don’t know that Fluffy next door’s Mum lets him eat dessert even if he hasn’t cleaned his plate. So, when it come to our pets, what they eat is (mostly) under our control. Therefore, my attitude to supplements generally is, if your pet is not on a restricted diet for any reason and you think it is lacking in something, look for a natural way of putting it in the diet before you reach for the pills and powders. If you think they need calcium try adding bones and/or dairy food to the diet. If you think he or she needs more omega 3, try adding eggs, fish or green lipped mussels. If you want to be sure you are feeding enough of the building blocks necessary to develop healthy joints, try feeding chicken wings or feet, or beef knuckles, pig’s trotters etc. They are all great natural sources of glucosamine, chondroitin and many other important nutrients. If your dog can’t eat bones for any reason, or even if they can and you want to give them a special treat, check out this great recipe for healthy bone soup. In a healthy dog on a normal diet I always look for the food option first. However, there are many times when this is not possible. If your dog is overweight or on a restricted diet for health reasons, or if your dog can’t or won’t eat bones or is intolerant or allergic to a particular food then obviously you may need to find other ways to give them the nutrients they may be missing out on. The first thing to remember in this situation is, please check with your vet. The supplement you plan to use may be derived from the very food your pet is meant to be avoiding. The next thing to always keep in mind is MORE IS NOT BETTER. Always check the dose for your pet and stick to it. Some vitamins that are beneficial in the correct dose can be deadly in larger doses. Too much calcium can lead to a variety of serious health problems including kidney disease and urinary stones. Many herbs are safe in low doses but toxic if overdone. If you are using supplements designed for humans rather than dogs then please check with your vet or animal health professional and make sure it is safe and that you know the dosage for your pet. It is NOT safe to assume that if it is okay for people it is okay for pets. Also, avoid using multiple supplements unless expressly recommended by your animal health professional. I have seen numerous cases where a pet has been on one supplement from the vet and one from the health food shop and one from the pet shop and when we check the labels they are getting three times the recommended dose of some of the ingredients. 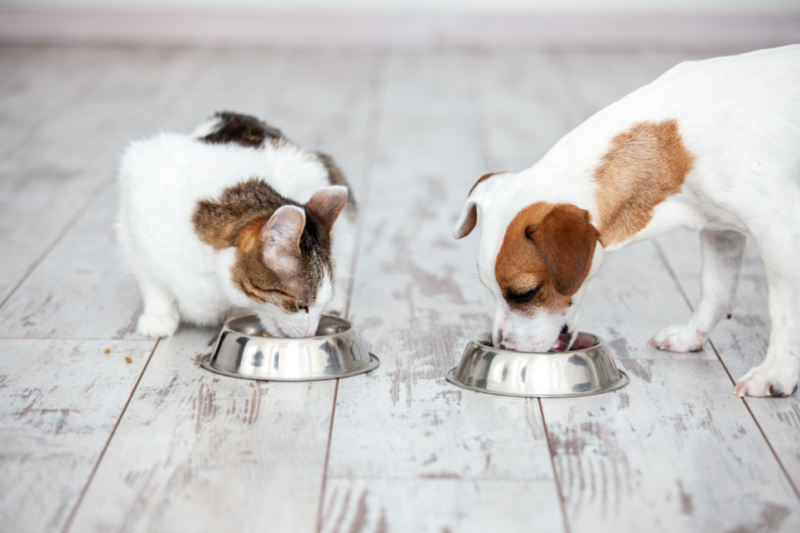 Another instance where using a supplement is necessary is when you are trying to achieve an outcome that would require your pet to consume far more of the food that it safely or sensibly could. Such as in the case of using fish or krill oil to achieve an anti-inflammatory action in pets with arthritis. In these cases in never hurts to add some natural food sources to the diet and then top up with supplements where necessary. In short, if you stick to natural where possible, remember more is not better and know what you are giving, as well as how much and why, you can’t go too far wrong.